Additional Information: Clarus brand by Pristine Care Products Pvt. Ltd is a perfect blend of science with inspirations, creativity and senses. 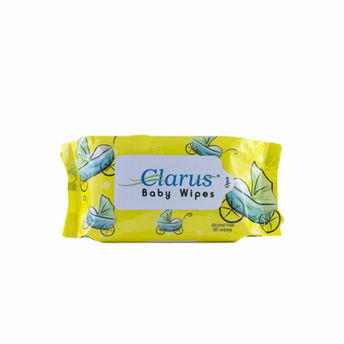 Known for their best quality personal care and hygiene products, Clarus provides varied solutions for daily needs, manufacturing and marketing high quality Wet Wipes, Baby Wipes, Instant Hand Sanitizers and Dry Tissues. They provide products and services of superior quality and value that improve the lives of the consumers today, tomorrow and always. Address of Mfg / Importer / Brand: S/22 PAREKH MARKET , 39 KENNDY BRIDGE MUMBAI 400004.